Fabulous building, lovely unit, terrific price - what are you waiting for! Completely rainscreened Vista Del Mar with roof, decks, vinyl windows, and interior all redone in 2010. 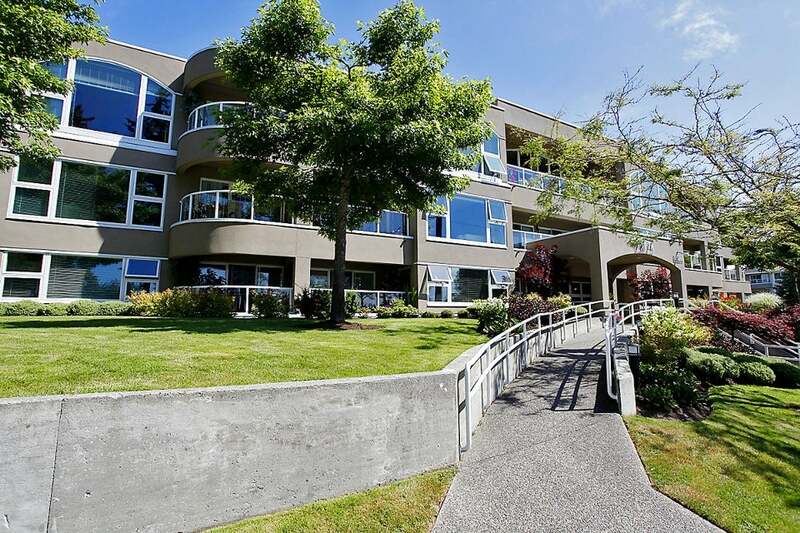 This SE corner unit on the ground floor has lovely views and a spacious deck to enjoy them from. Nicely updated, over 1200 sq ft, and within walking distance of the beach, shops, restaurants, and famous White Rock Pier. All you have to do is move in. Sorry, no dogs but yes to 2 cats! Depreciation report complete and available.